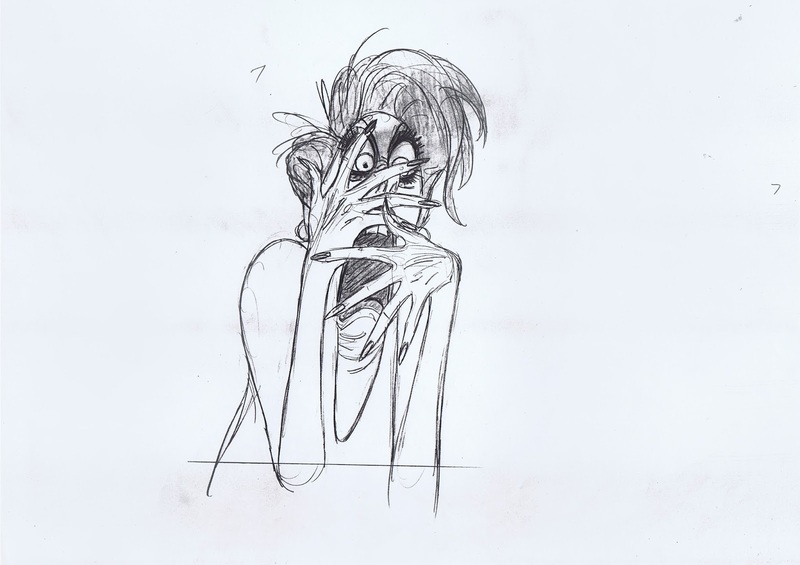 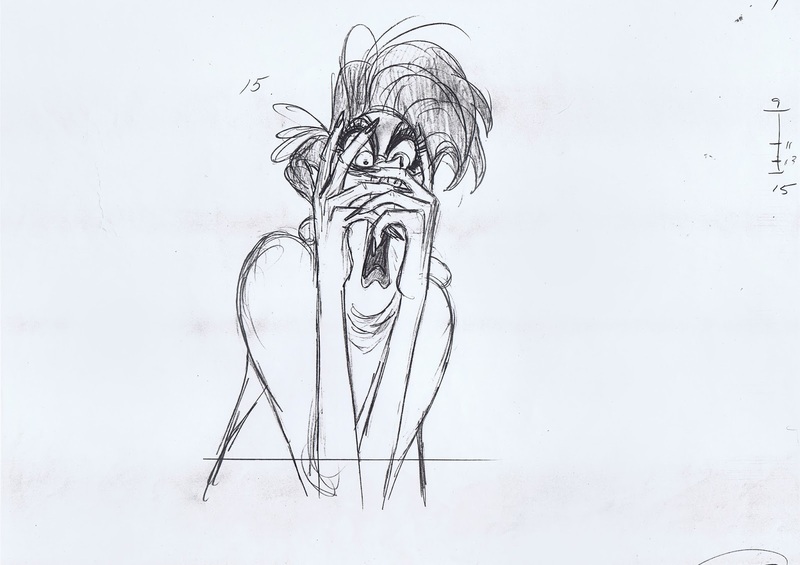 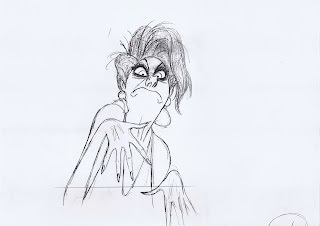 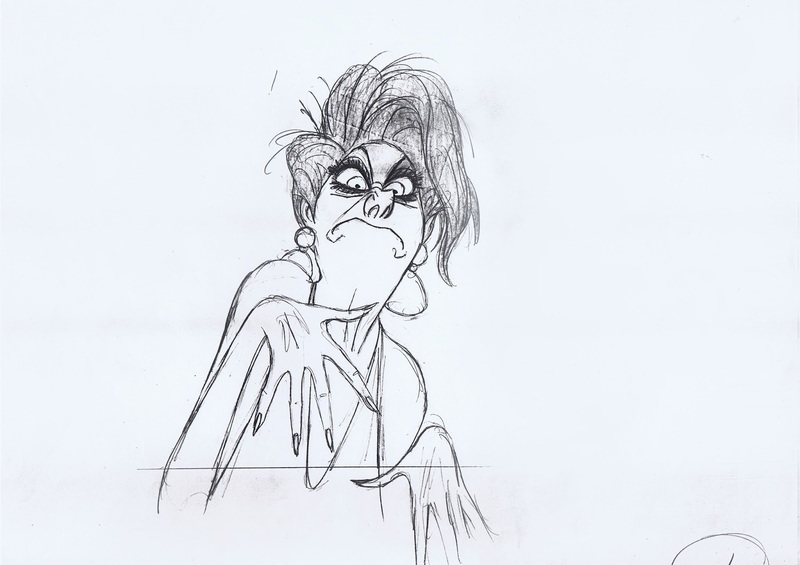 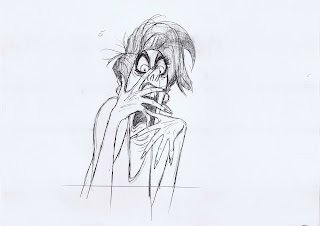 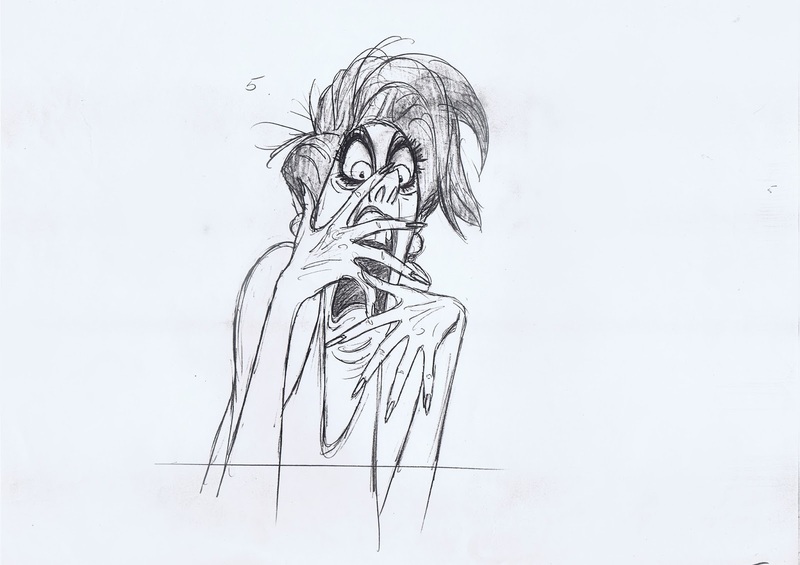 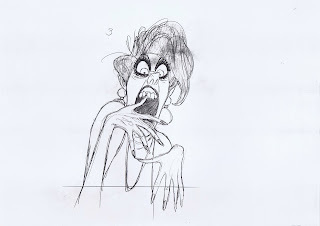 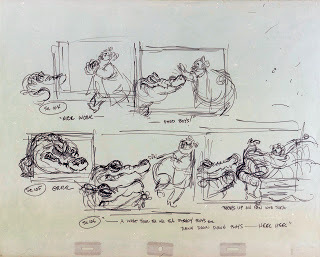 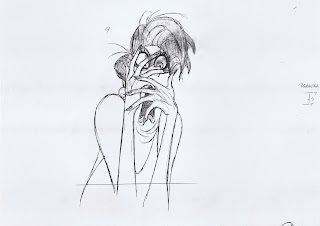 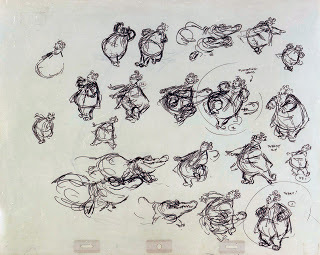 Milt Kahl used a thin felt pen for his exploratory sketches during production of The Rescuers. 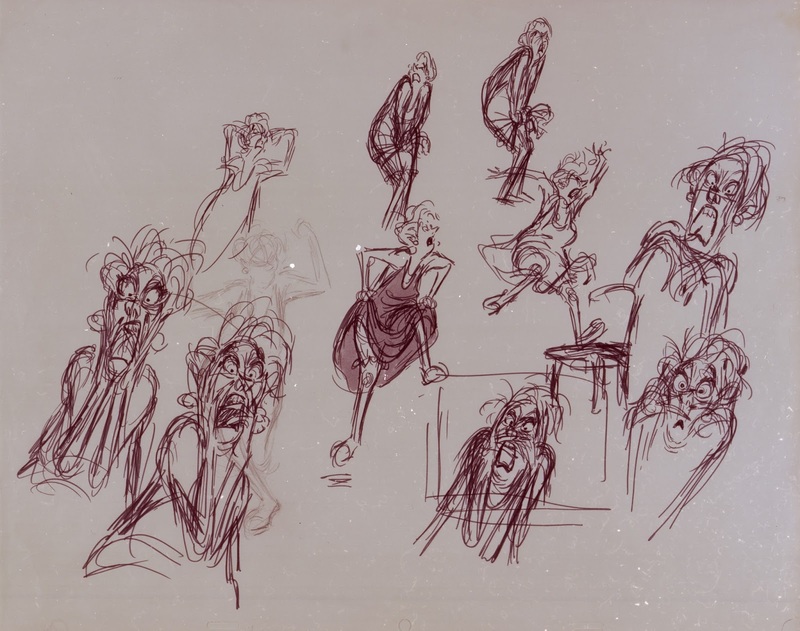 He produced a ton of these sheets searching for the most inventive poses, expressions and acting patterns. 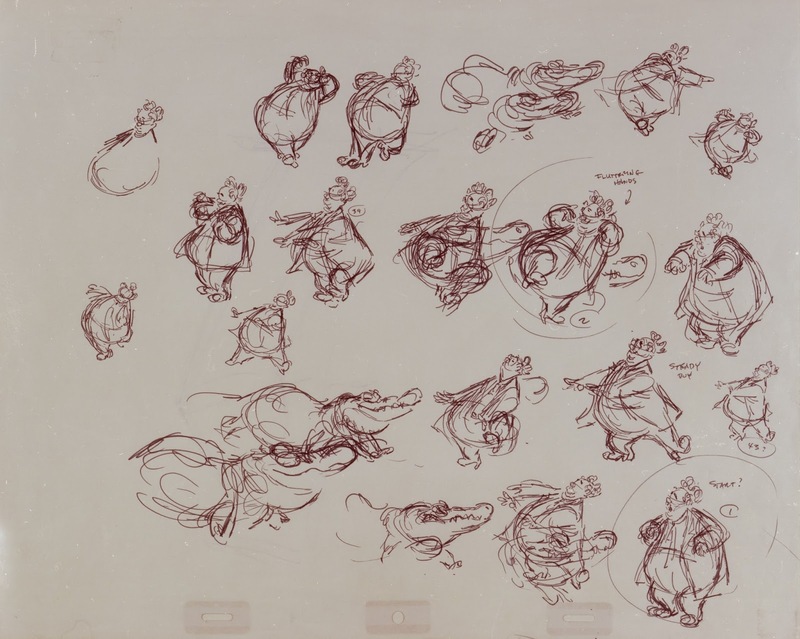 Even if the scene is only 16 frames long, like the one shown here, Milt tried several variations on the main idea of Medusa freaking out at the sight of two mice. 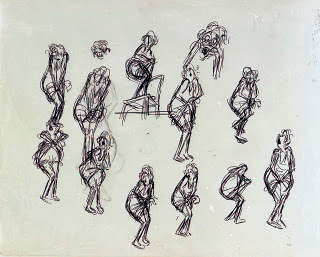 I love the energy in these drawings, and the lines of that felt pen seem to be dancing on the paper. 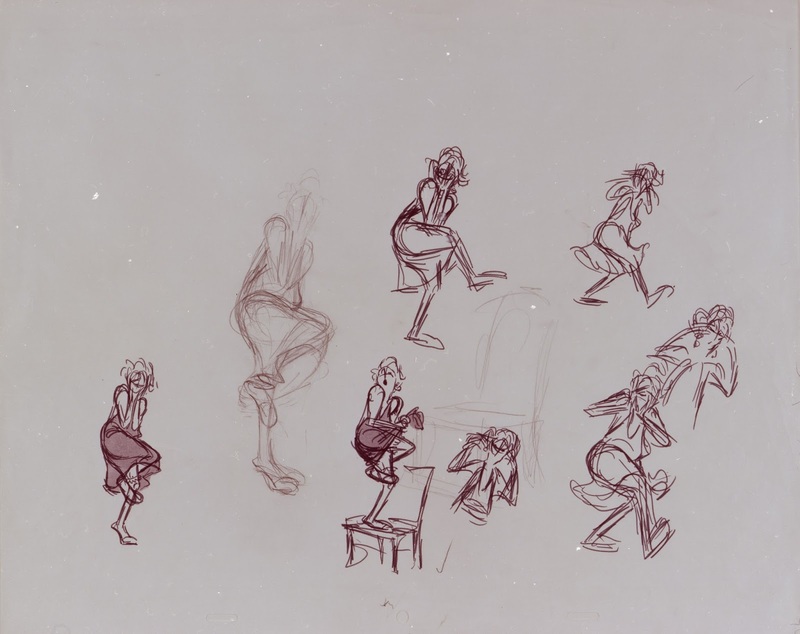 It's interesting to see that he used a through away rough animation sheet, probably because it was the closest within reach. There is so much unconventional stuff going on with Medusa's design, including the way her very round shoulders contrast her straight lower arms. These are the key drawings for this short scene. More thumbnails that show Medusa's panic. 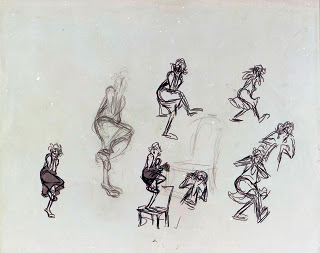 She grabs the lower end of her dress…because she needs something to hang on to. 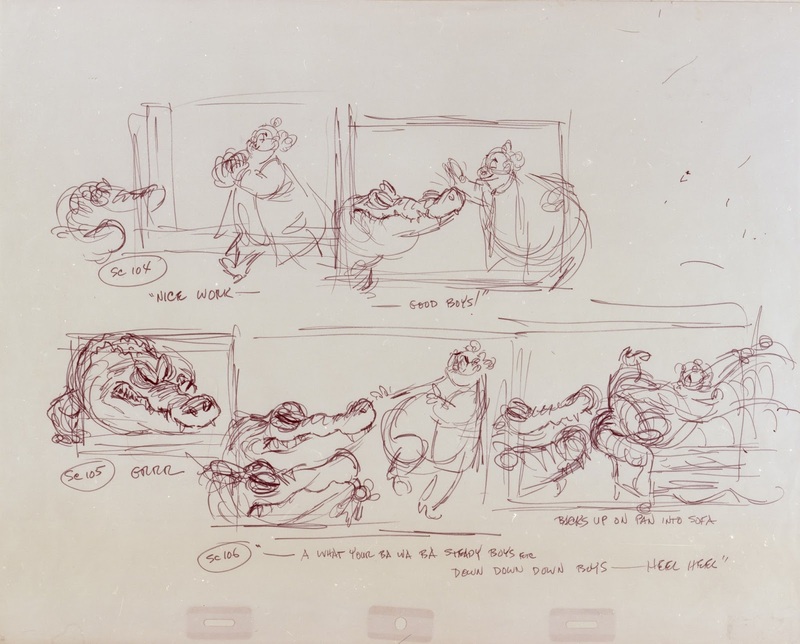 Snoops is having an uncomfortable encounter with the alligators. 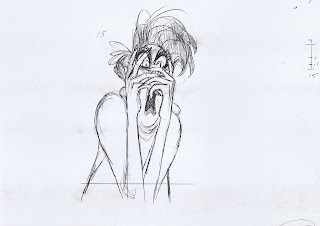 There will be a post with more Snoops material coming soon. 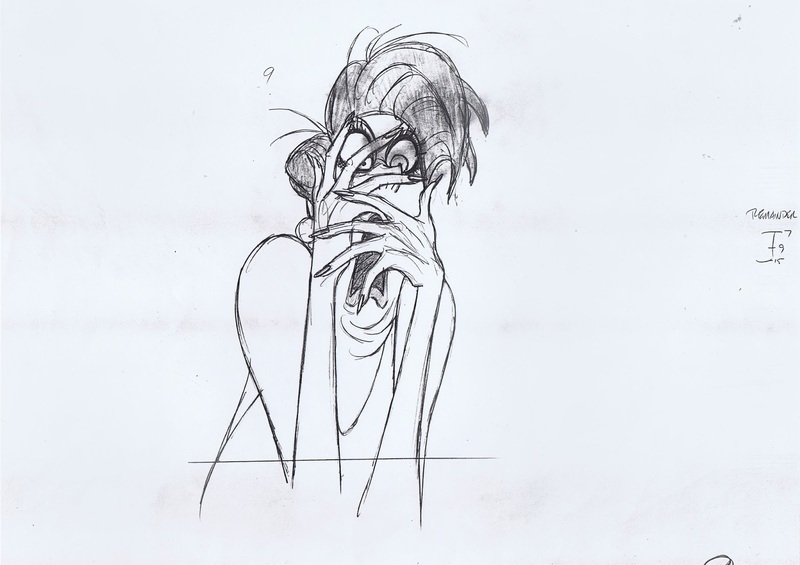 He is a terrific character.